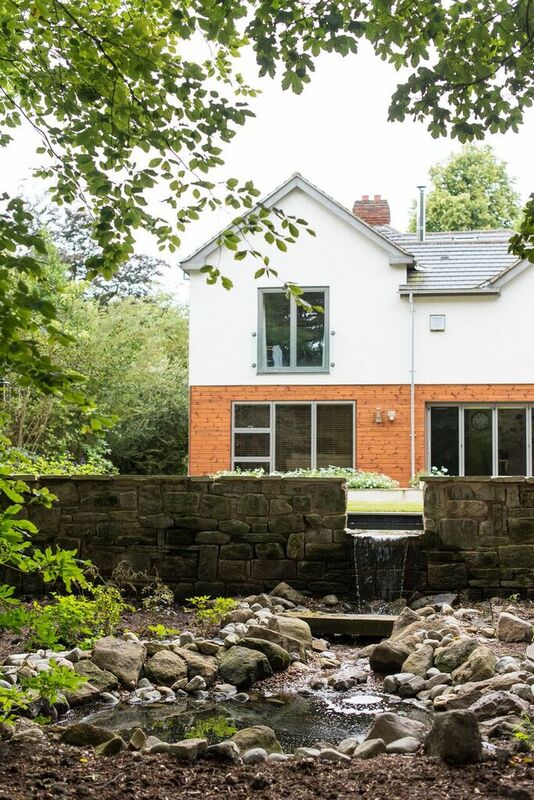 Following an extensive home renovation, the couple had now shifted their attention onto tackling the large and rather overgrown garden. 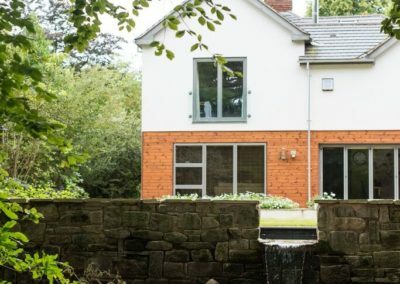 It was clear from their early drawings that Andrew being an architect had a preference for strong geometrical shapes. 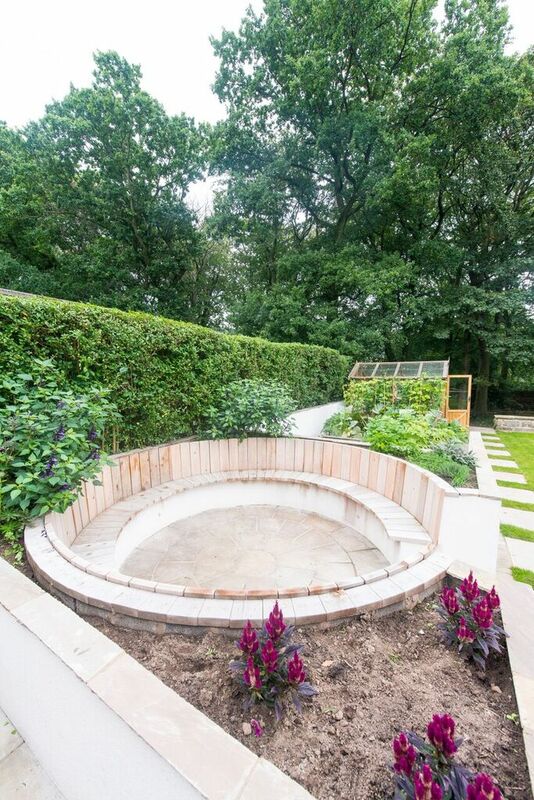 This can be seen in the angular nature of some of the design elements; such as the circular stone seating set in a square frame. 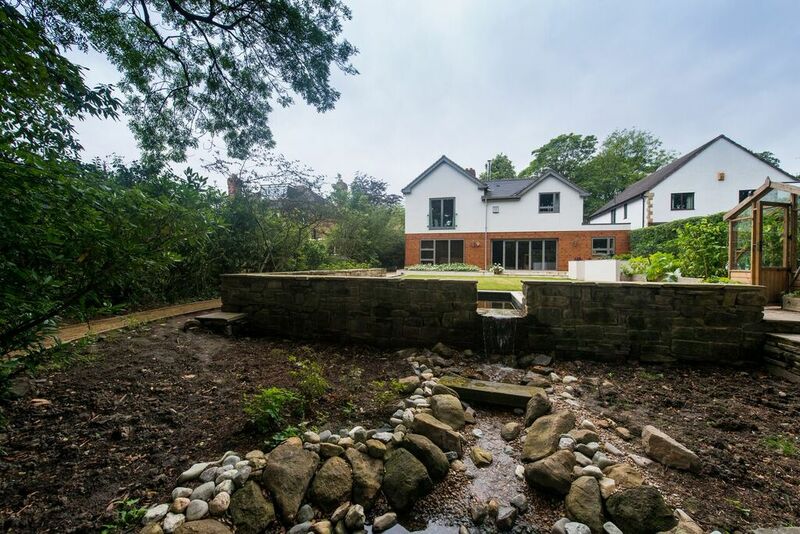 Strong geometric design with family friendly spaces. 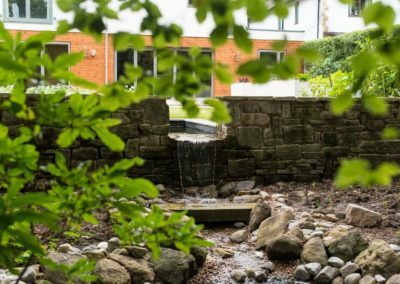 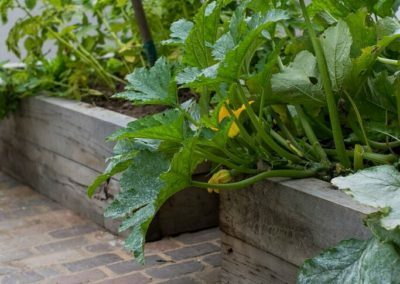 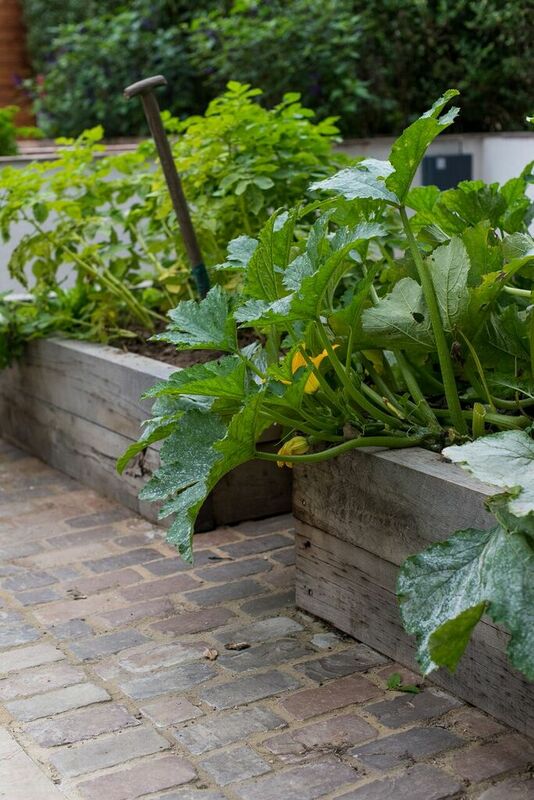 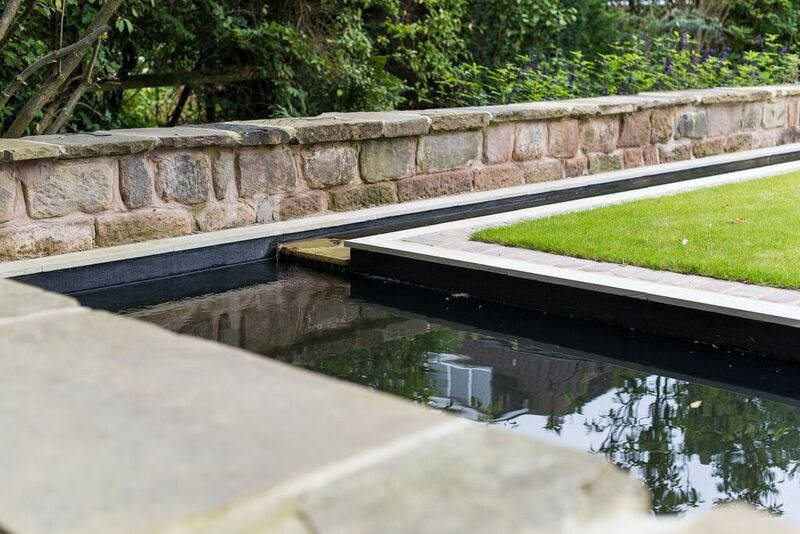 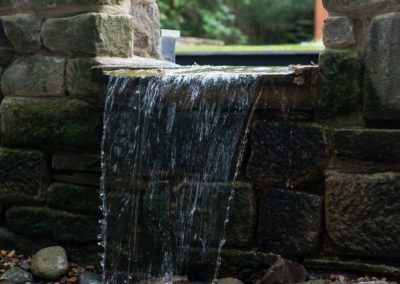 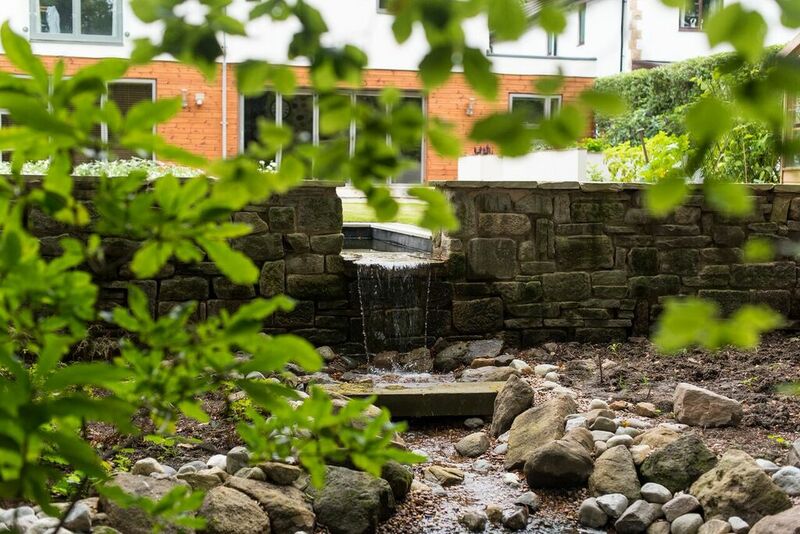 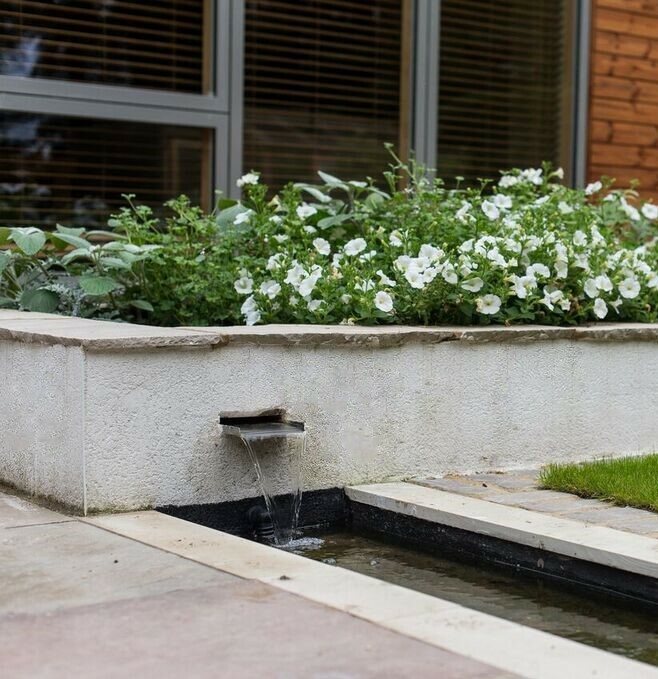 We were able to reuse a substantial amount of York stone from the original garden, reducing the amount spent on purchasing new materials and preventing good quality stone from going to landfill. 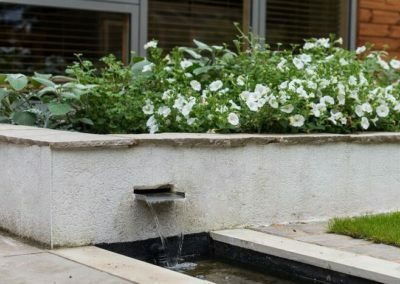 In contrast to her husband, Liz asked for a softer, more natural look to the final design. 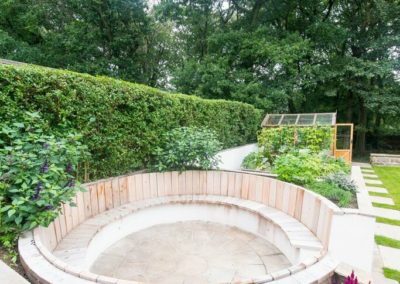 We achieved this with muted planting within the geometric shaping, such as corner planting in the seating area mentioned earlier, good use of existing mature woodland and a clever water feature. 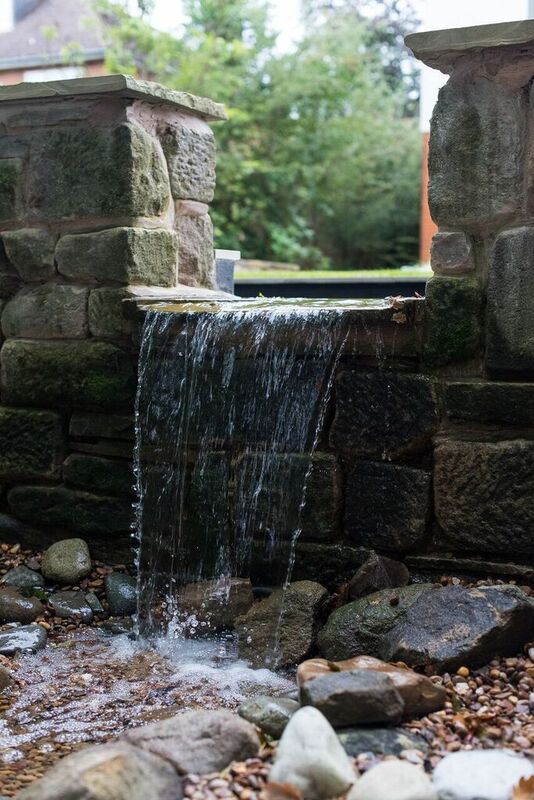 Water runs through a structured rill to the formal, rectangular pond and then finally into a wild pool. 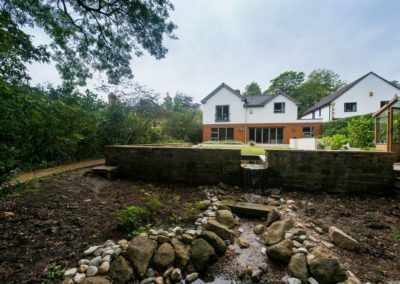 The existing woodland lends itself well to exploration and play by the younger members of the family where it was decided that this would be the ideal home for an outdoor ping pong table and seating.